Please click the link above to see our MARCH services. Our next Benefice service is on 14th April at 9.50am at St Peter's Charsfield. 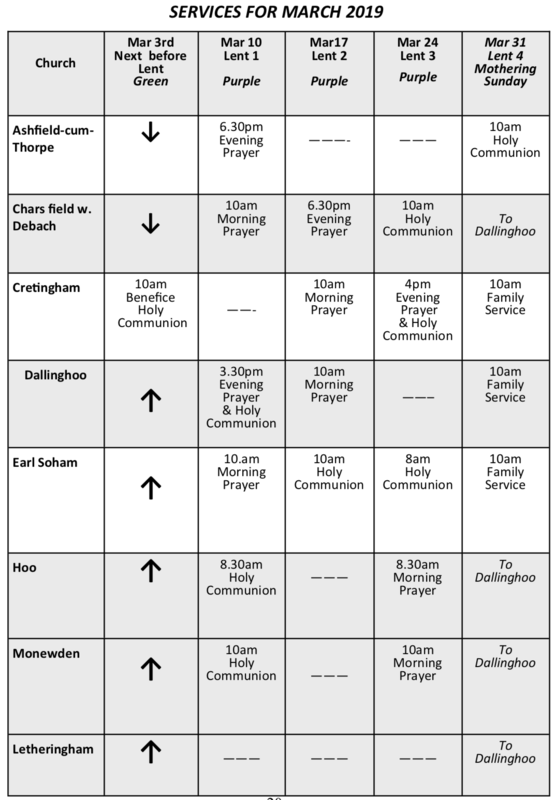 To find Churches elsewhere in our Diocese - and throughout England click here.